I may be experiencing a mid-life crisis. But now that the kids are out of school (and their tuition payments are behind me), I'd like to reward myself with the car I should have had when I was about 15 years younger. That said, I have something of a practical side that (usually) keeps my "child" in check. I'd like a car with a navigation system, parking assist (I can't turn my neck the way I used to), and a good electronics package - Pandora, Sirius (or something like it), etc. 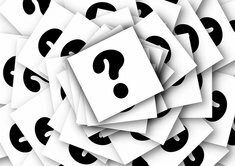 Practical and mid-life crisis don't often go hand in hand but there is hope! The VW GTI has been lauded repeatedly as the most practical "hot hatch" out there. It is fast, comfortable, can carry 4 people or lots of gear, gets decent mileage - many owners report getting 35+ mpg highway. It has a great back up camera for your less mobile neck woes. It ticks all your other boxes as well including price. While reliablity is not necessarily VW's strong suit the Mark VII (2015 + model), is generally reliable. For some reason there are many owners with problems & many without - it is kinda a conudrum. However, the 2018's longer warranty can help mute that concern. Multiple long term reviews by a variety of car test sites have found it to be pretty trouble free over 20,000+ miles. Just google "GTI long term review" and you will get a gaggle of them. If you like the wind in your hair & can discard the practical card there is always a Miata. 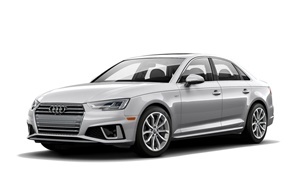 A more practical ragtop would be the Audi A4 convert (not sure you can get that for $35K). http://roving.media/reviews/2016/1/25/life-with-gti-long-term-test-introduction Note in his intro that he & family members have had uniformly good experience with VW/Audi products. Danlisahall nailed it with his suggestions. The GTI is certainly the best choice if it needs to be your one car. Plenty of room and cargo space, a blast to drive, and they get 34 highway. They have a nice interior and the exterior is just conservative enough to avoid the looks that a WRX or Civic Si gets with their styling. Newer ones are midpack in reliability and 2018's have a terrific warranty. Top of line versions have the electronic assists you want for under your budget. They are also one of the few new cars that stullnhas good rear visibility out the actual windows. I drive a 2015 GTI and rented a new Mustang for a week and the visibility difference was night and day. Car had less interior space than my VW but felt huge on the outside. 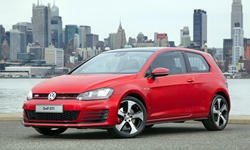 For a bit more look at a CPO Golf R or Audi S3, although you will sacrifice mileage. 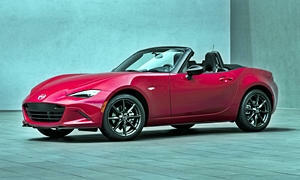 If the car is to be more of a toy, the Miata is certainly a safe choice. I don't think they come with parking assist, but given the small size it shouldn't be needed. Like everyone has said, I think the GTI would be a nice choice. It is fun and pretty practical when you need it to be. The maintenance costs on VWs are not that cheap, but it has one of the best transmissions on the market. From the stuff I hear, reliability with the current generation is around average. You have to service the DCT for $500 every 40k miles or so. If you really want a fun car I think it's worth it. For me, the maintenance costs are a small tradeoff for a great car. I'd get a CPO one. You get a long warranty. If you are nervous about the GTI's reliability, the Miata is also a strong choice. You give up the practicality of the hatchbacks, but I think it is even more fun than the GTI. The reliability is also really good. No other convertible feels the same or is as fun (unless you get some $100k+ convertible). There are not a lot of safety features on the Miata. Blind spot monitoring and rear cross traffic are available as is lane departure warning and a backup camera. It is very easy to see out the back. All new cars today have a backup camera. It is mandatory. If you are taller or wider than average, you might not fit in the comfortable seats. On the other end of the fun spectrum, you have the Prius. My 2016 Prius can park itself into a parallel spot or backing into a perpindicular spot. Also, it can get you out of a spot. All you have to do is touch the brake and shift gears and it steers for you. Works well every time. It also has every safety feature standard and can carry a lot in the trunk. I get 55 MPG on almost all highway use. City mileage is better. Handling is good, but not as fun as the other cars on the list. It checks all the boxes in your post because styling is subjective. Has Pandora, XM radio, Aha, Yelp, etc. The ride is very soft, but the handling remains pretty solid. The Prius lasts forever, too. You can fit a lot of stuff in the trunk, too. A fully loaded one is thousands under your budget. The Mazda 3 is fun, practical, and efficient. This one might be better for you than the Prius. Handles almost as good as the GTI. More reliable than the GTI. 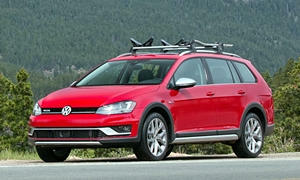 The hatchback has a lot of cargo space, but the cabin area is pretty small so if you are bigger, this is not the car. Lectrofuel, a Prius handles well...said no one ever. Most Toyota's do not handle well and are usually bottom of the pack. 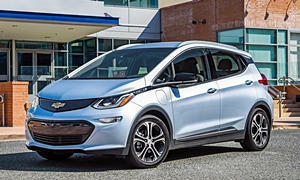 A Bolt EV will cost similarly or less than a GTi after $7,500 Federal Rebate and will accelerate almost as quick. Note that the OP never said he wanted something that handled well, but wanted the most features for the money. "Fun" is a subjective term whether you find fun in the interior tech or handling. 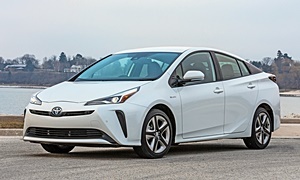 I said the Prius is not as fun as the other choices, but you gain practicality and efficiency. I should have said Prius has the most-improved handling.